Richland Creek is another hidden gem tucked into the side of Walden's Ridge, with great rapids getting continually steeper the farther you hike upstream. The Laurel Snow section of the Cumberland Trail makes great use of an old mining road, enabling paddlers and hikers the chance to access the creek. 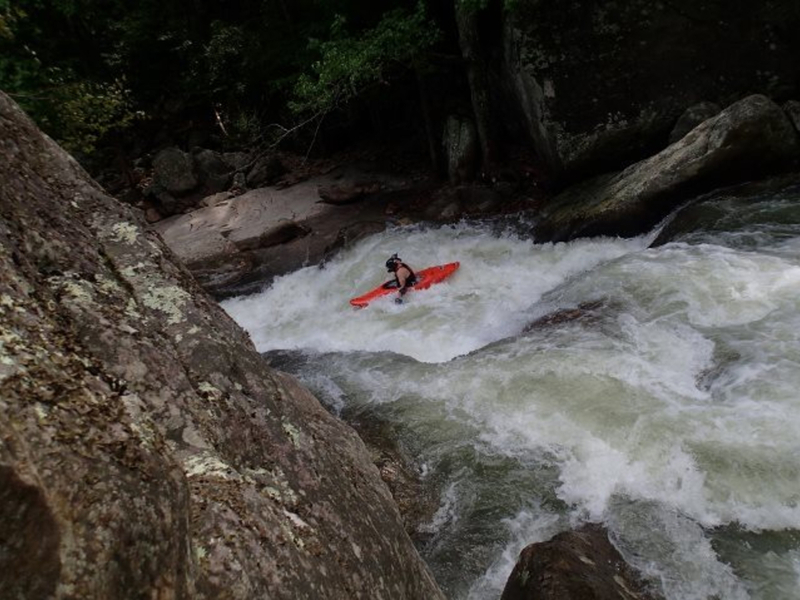 A mostly class IV river in Dayton, TN, Richland Creek is a whitewater gem, perfect for boaters looking to train for some of Chattanooga's V-V+ creeks. The bottom of Hut Rapid has one of the best boofs in the region, an 8-10 footer that easily launches you airborne. Carry some speed into it, pull a left stroke and it's guaranteed to create smiles. Right above where the tributary of North Pole comes in, there's an interesting slot feature called 'Praying Hands.' It's a cave drop that you can paddle right through and underneath (always check for wood first). The last major rapid, called Weirdo, can take you for a big meltdown on the right. Drive up on the left shelf for an easier ride. 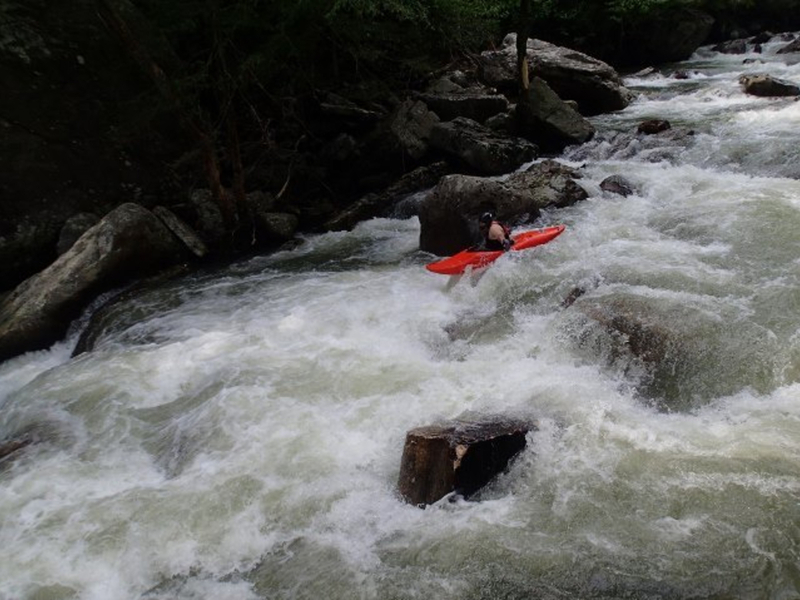 The top rapid with giant undercut boulders, called Timber Rattler, is the most difficult and the most dangerous! The steepest section is from the reservoir through Trailhead Boogie and Hut. Scout the entire section before dropping in, as there are several pinning hazards and sieves that are in play at all levels. Catch eddies and look carefully at each rapid. A solid roll is mandatory here. There is an alternative put-in just below Hut, making the run class IV instead of V.
Currently, there is no direct gauge for Richland Creek, but the level can be predicted by checking the gauges for nearby watersheds, such as North Chickamauga Creek. Just a reminder: There are swimming holes in summer, but tubing and swimming when the creek has flow is not safe! 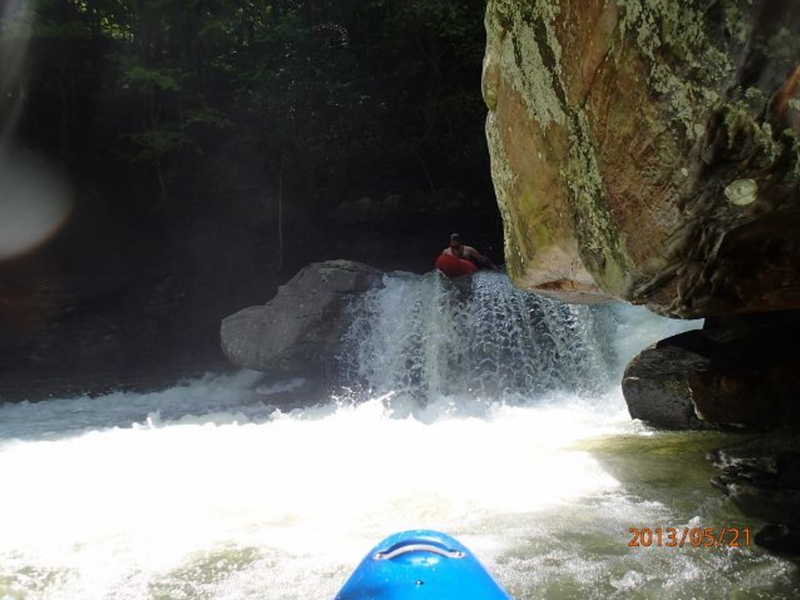 Richland Creek is the next step once Bowling Alley and Tellico are under your belt. If these rivers are easy for you, and you're in good enough shape to hike your boat a mile, then Richland will be a fun experience. It's great training water for those who inspire to run Chattanooga's class V-V+ creeks. Highway 27 North from downtown is a quick and straight shot to Dayton, following the base of the ridge on a fast, divided highway. Once in Dayton, turn left and follow Highway 30, through a jog, and across the railroad. Next, turn right onto Back Valley Road. Follow this road across the creek and watch carefully for a left turn that sneaks up on you. Turn hard left on a dirt/gravel road for the Laurel Snow parking lot, which is part of the Cumberland Trail Tennessee State Natural Area. The bottom section of Richland Creek is accessible from a stream side parking area by hiking upstream. This place doubles as a take-out for the long wilderness runs on class V Henderson Creek and North Pole.Hiking up the trail, you'll pass cascading streams and interesting, spooky old mines. It's 1.3 miles to the old reservoir, and the rapids are mostly class IV. The top 1/4+ mile is class V.
Parking at the Cumberland Trail Laurel-Snow State Natural Area is free. The area is closed daily at dark.